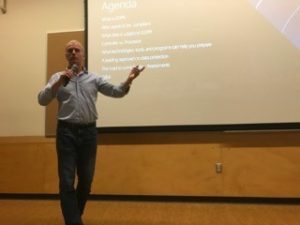 On Thursday, April 19th adaQuest’s Hiram Machado, Paul Johnson, and Mark Shriner participated in the ISSA Puget Sound monthly chapter meeting. After watching an informative presentation from Chapter President Justin White that covered some of the recent data privacy issues in the U.S., Mark and Hiram delivered a 45-minute overview of the GDPR. 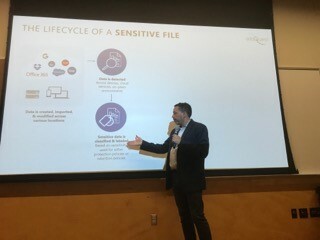 In the presentation Hiram discussed the background on GDPR, explaining how it evolved from earlier European directives, what the consequences will be on how companies control and process data, what the potential fines are, and some of the tools and technologies organizations can use to help them prepare for GDPR. Mark gave a brief overview of some of the assessment tools that adaQuest uses to help companies prepare for GDPR including the GDPR Detailed Assessment, the Data Discovery Toolkit, and the O365 Security Tune Up. adaQuest also provides a half-day GDPR Fundamentals program for organizations that are looking to get quick and effective understanding of GDPR and the pathway towards compliance.